Conveniently located just off the I-405, I-110 and 91 Freeway, and minutes to the Home Depot Center, Long Beach Convention Center and 15 minutes to the Long Beach Airport, LAX airports. We are also located just minutes form many of the local oil refineries, close to Disney Land, Knotts Berry Farms, LA Zoo, and other major attractions in and around the LA area. Guest bathrooms were just recently upgraded. You will find that we have several different room types, rooms with full kitchens, to our standard executive rooms for our business travelers. 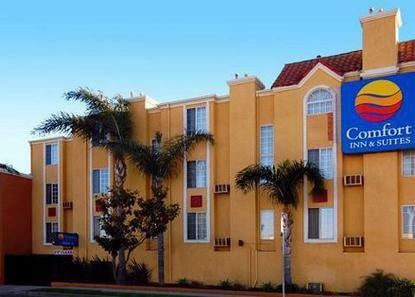 Our 3 story hotel offers interior corridors, under ground parking, and many other amenities travelers come to enjoy. Complimentary continental breakfast served daily.